1. What neurologists have found about people who are really good at something–symphony orchestra members, Olympians, NHL hockey players, art thieves–is that their brains are not wired any differently than yours or mine. All brains are created equal; it’s just that some people actively use theirs to develop particular skills through repeated practice. 2. It’s not that people who succeed don’t fail; they just try again. 4. Successful people admit their weaknesses and love their strengths. They do more of what they do well, and link up with or hire people who excel at what they don’t. 5. The life cycle of the butterfly isn’t as easy-breasy as I first thought. I figured they just climb on into their cocoon, sleep a while, and then wake up a butterfly. Not true! Reality is much more arduous than that. Once the caterpillar creates it’s cocoon, it then has to completely dissolve. Enzymes are released that digest all the caterpillar tissue, converting it into a rich cultural medium–a soup full of cells. Then the caterpillar has to start imagining it might become a butterfly; the imaginal ‘disks’ that will become its wings, legs, antennae and butterfly organs have been there all along, but now they get activated. Next the butterfly has to eat its way through the cocoon, and go through an epic struggle to forge its way out. Once its finally free, it can use its newfound wings. Here’s the kicker: If we try to help the butterfly, by cutting it out of the cocoon, it will die. The struggle to free itself from its cocoon–the house of its old identity–is key to strengthening its wings so it will be able to fly. 6. 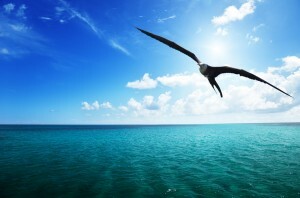 People who soar re-frame struggle as opportunity for growth–keeping in mind their strengthening wings. I love the story about the butterfly. Very inspiring AND something that I didn’t know. I needed to read this today. Thank you.